Grab an OMD fix this weekend as Messages offers up a sale on selected merchandise. 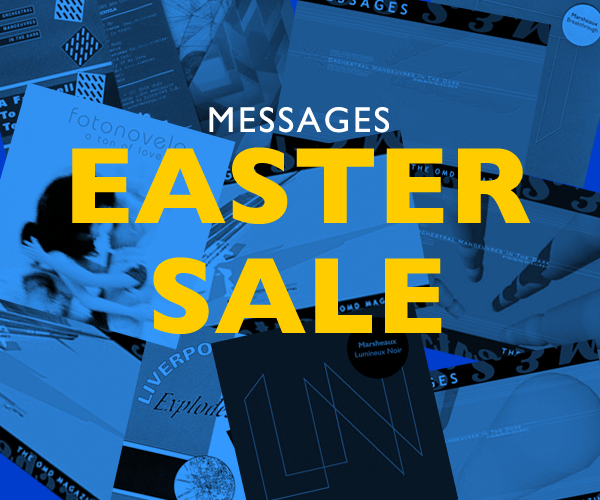 We’re rocking a new look for the Messages site this week and to promote our restructuring we’re doing a special Easter Sale. Snap up back issues of Messages or one of Marsheaux’s CDs. A perfect opportunity to obtain the superb A Ton Of Love album (with its ‘lost’ OMD songs) as well as other Fotonovela releases. We also have copies of the Liverpool Explodes magazine available. There’s plenty of choice and all at special reduced prices for the course of the Easter weekend only! Zip over to the Messages Shop for all the details!